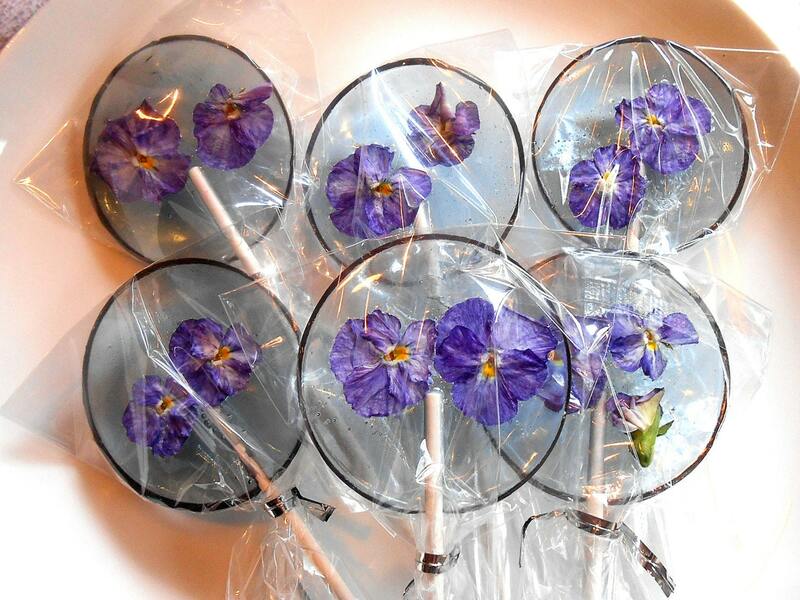 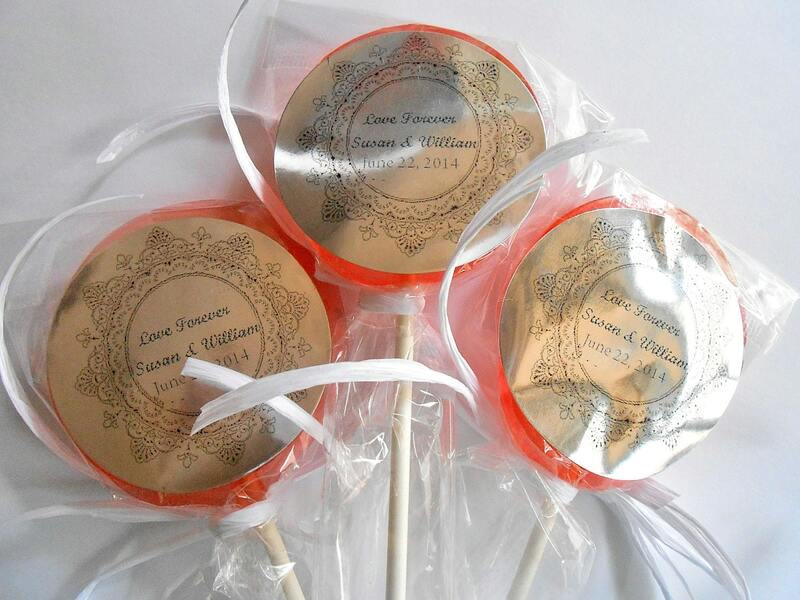 This lollipops are made to order and because the VIolas are grown indoors on my farm, you don't have to worry about insecticides or any toxins. 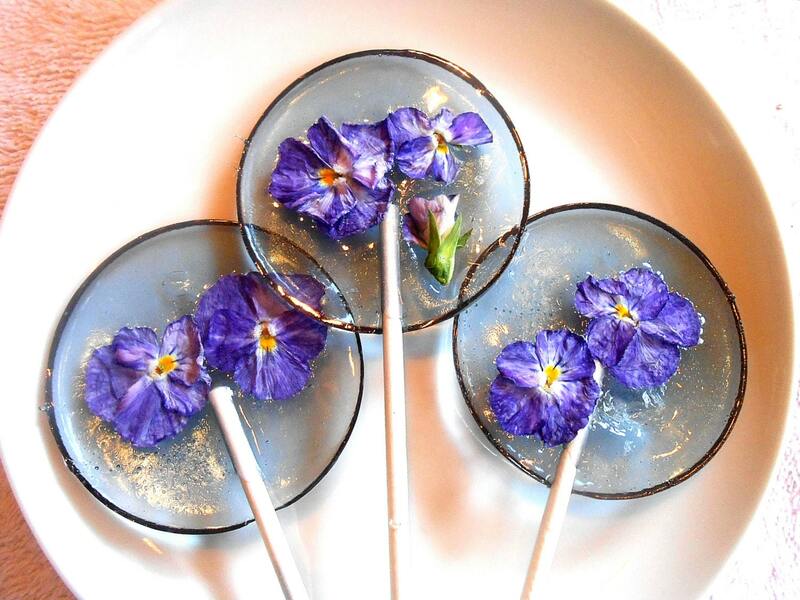 The petals are very edible and gently float through the lolli for your amusement. 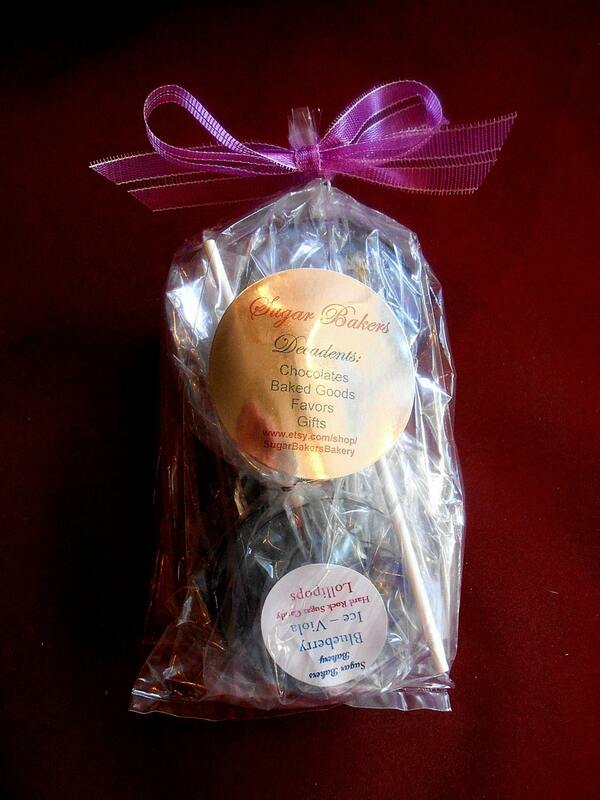 I'll have lots of flavors and varieties and colors as spring goes on so stop back in often. 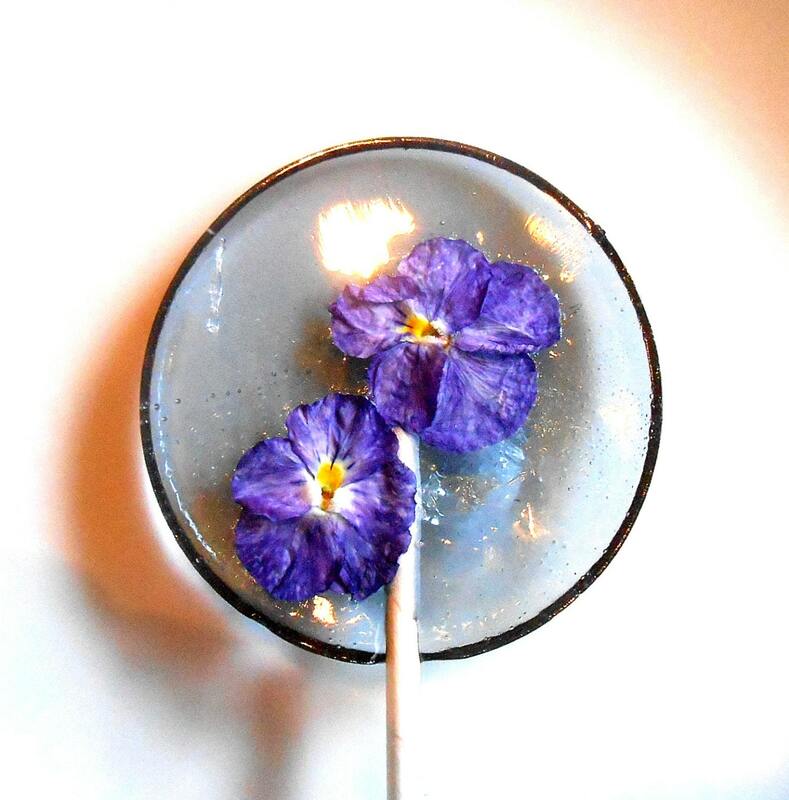 Violas are very sweet and when you get to the flower, the nectar is still in the flower.